Marshall 2×10 combo from the 90s. 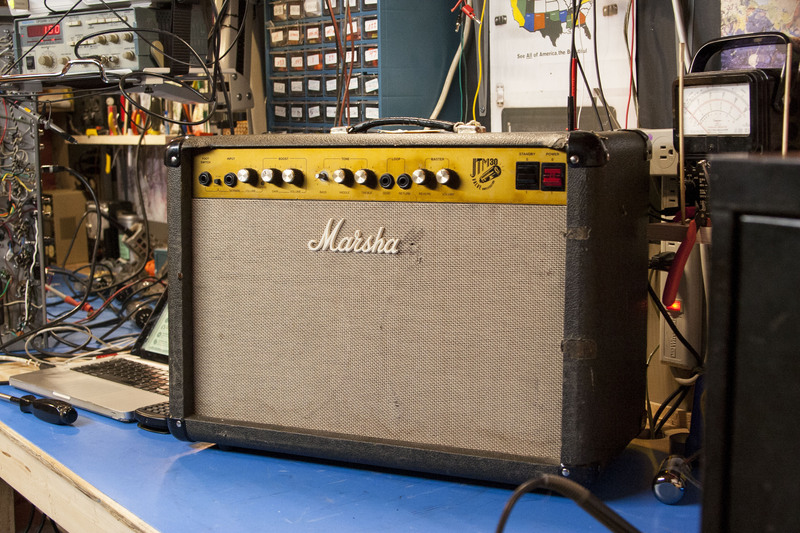 Has clean and gain channel with shared tone stack and reverb and master volume. Kind of crammed together with a solid state board on the left and on the right preamp tubes, power amp and power supply. 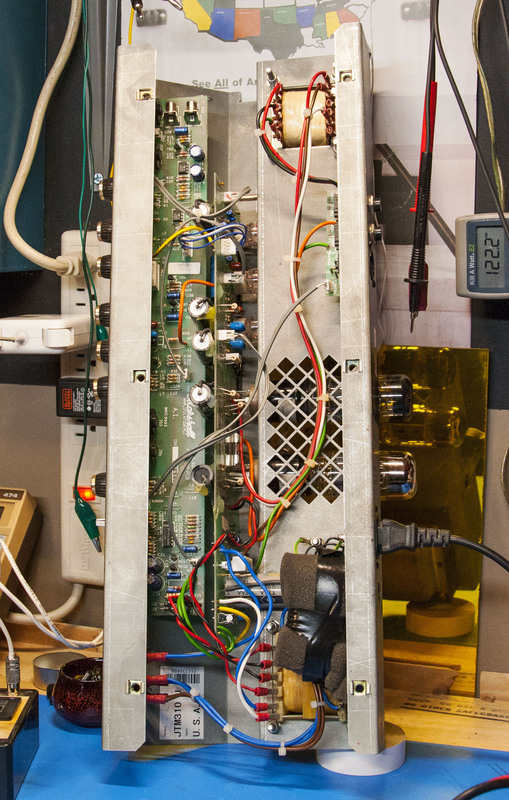 Someone has recapped the power supply with axial capacitors where it used to have radial, I could only assume. 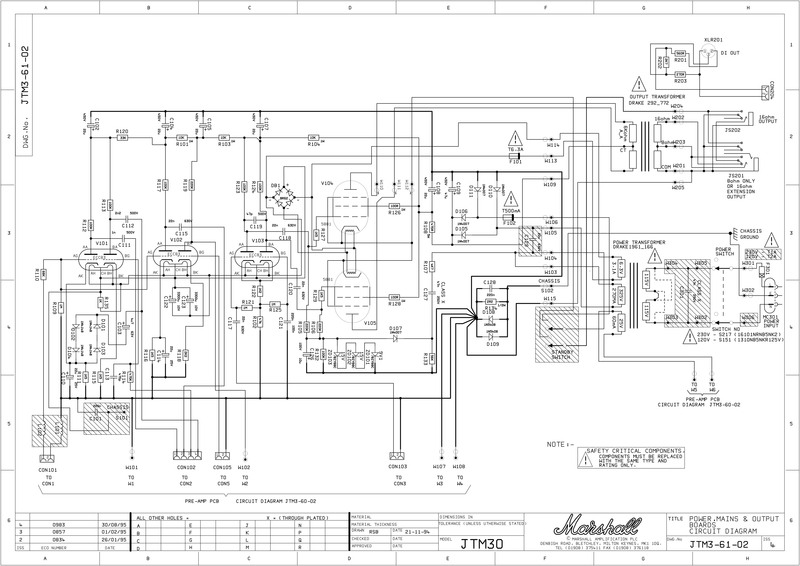 Marshall JTM30 schematic. 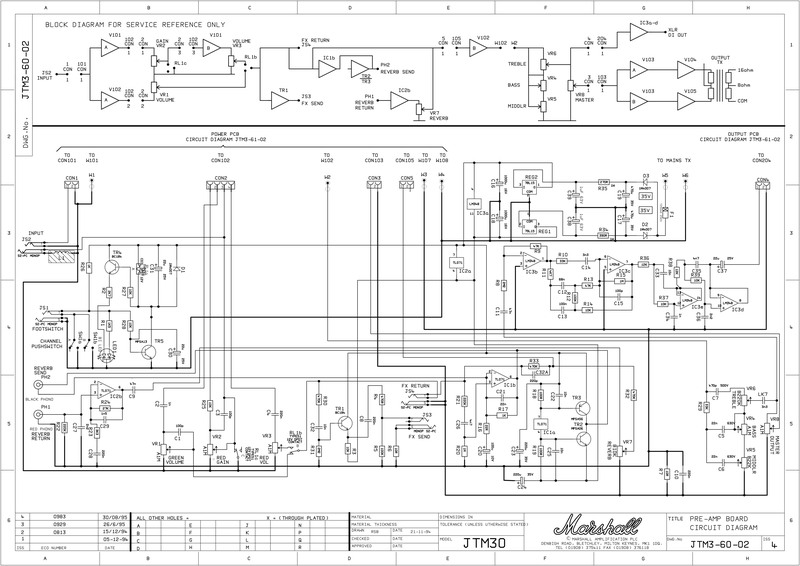 Kind of an interesting thing is the bias supply for the 5881s is set by ZD101, ZD102, ZD103, a string of voltage regulating zener diodes in series setting it at -39V. If you want to adjust the bias you need to get some zener diodes out of different values.